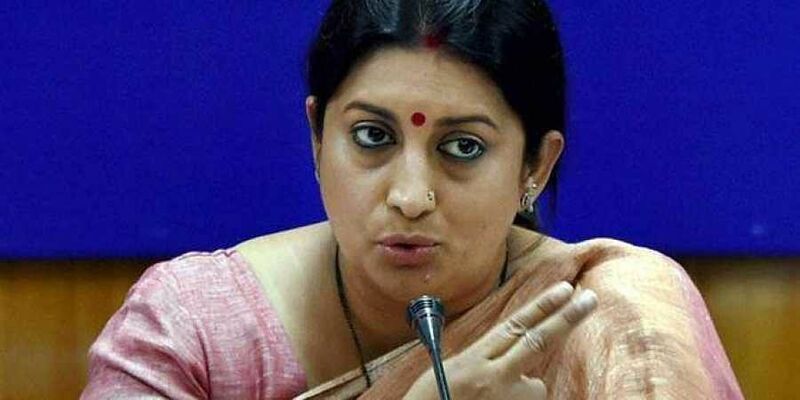 Union Minister Smriti Irani categorically said Rajan's statement clearly proves it is the Congress which is responsible for the rising non-performing assets of banks. NEW DELHI: The BJP hit out at the Congress on Monday citing former Reserve Bank governor Raghuram Rajan's submissions to a parliamentary panel on mounting non-performing assets (NPA) of banks, and said it exposes the destructive economic policies of the Congress-led UPA government, which attacked the core of Indian banking system. In his submissions to the Estimates Committee headed by veteran BJP leader Murali Manohar Joshi, Rajan said he had sent a list of high profile cases related to banking frauds to the Prime Minister's Office (PMO) for a coordinated action. Over-optimistic bankers, slowdown in government decision-making process and variety of governance problems such as suspect allocation of coal mines and moderation in economic growth mainly contributed to the mounting bad loans, Rajan said. "He has exposed the destructive economic policies of the Congress-led UPA governments. And this has been done by none other than former RBI governor Raghuram Rajan who also worked as economic advisor in the UPA government," Union Minister Smriti Irani said. She said Rajan's report was a "loud proclamation" of corruption done by Congress. Addressing a press conference at the party office here, Irani asked if he would answer for the misdeeds of his party or as usual run away from responsibility. She categorically said Rajan's statement clearly proves it is the Congress which is responsible for the rising non-performing assets (NPA) of banks. "UPA chairperson Sonia Gandhi led a government that attacked the very core of the Indian banking system. Raghuram Rajan has said that between 2006 and 2008, the UPA functioning led to increased NPAs in the Indian banking structure," she said. She also said all this was happening under the nose of then Prime Minister Manmohan Singh. NPA declaration of UPA government had served seriously the Private Banks of Kerala. They have got a vast loan waiver profit and accumulation of assets also where farmers are defaulted whether suicide or as bankrupted .